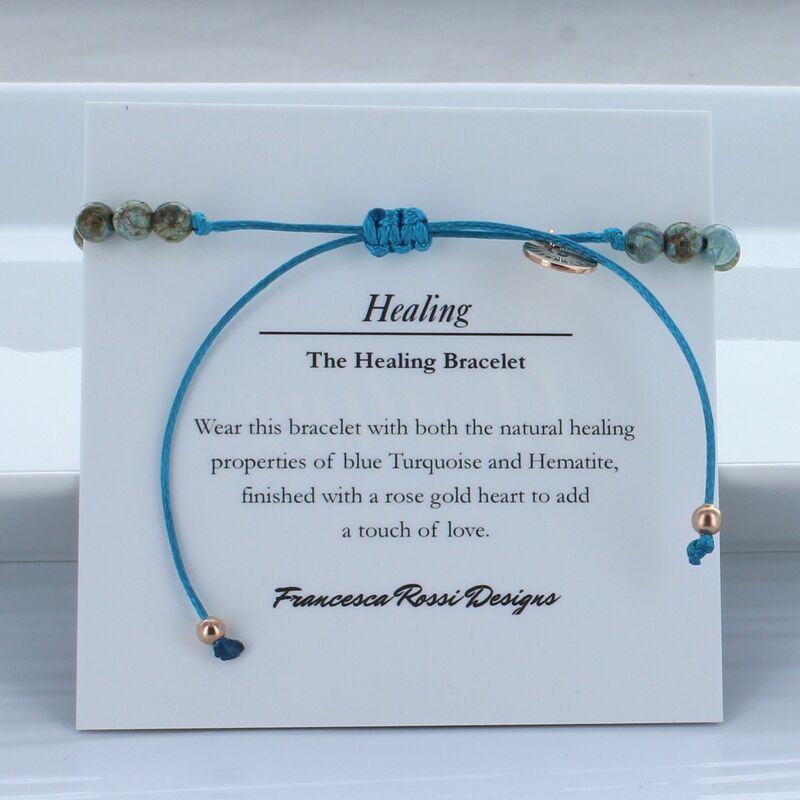 A beautiful healing bracelet with natural Turquoise stones and two Hematite stones both with the properties of healing with a rose gold heart for love. The Turquoise friendship bracelet is a stone that aids healing. It is believed to hold powers that benefit the whole body and immune system. The bracelet also has two beautiful faceted Hematite stones that help to heal along with a rose gold plated sterling silver heart. 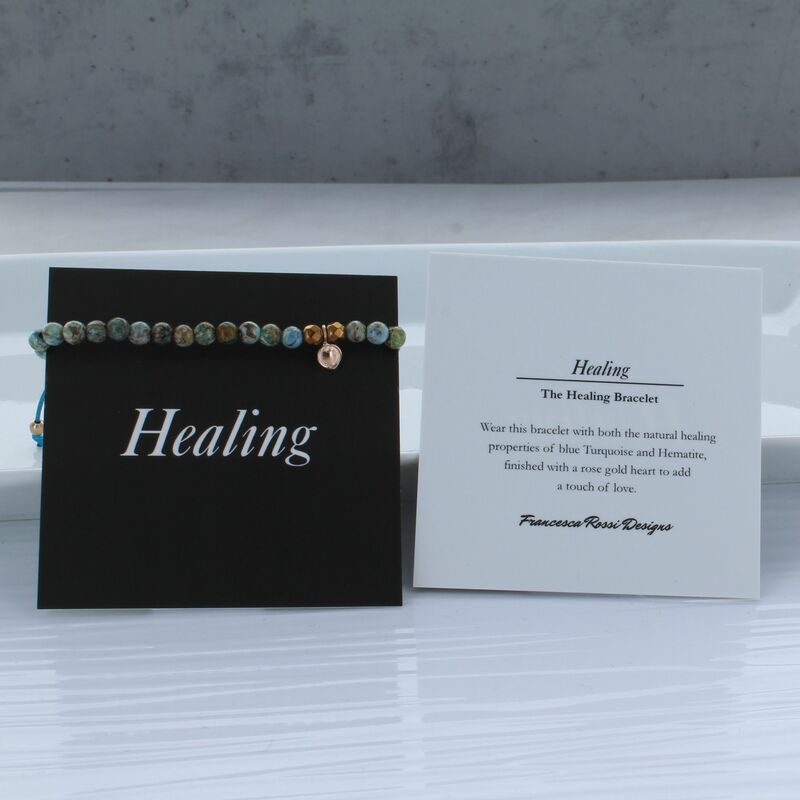 Each bracelet is presented with a "Healing" card with an explanation of the qualities of the stone on the reverse side.